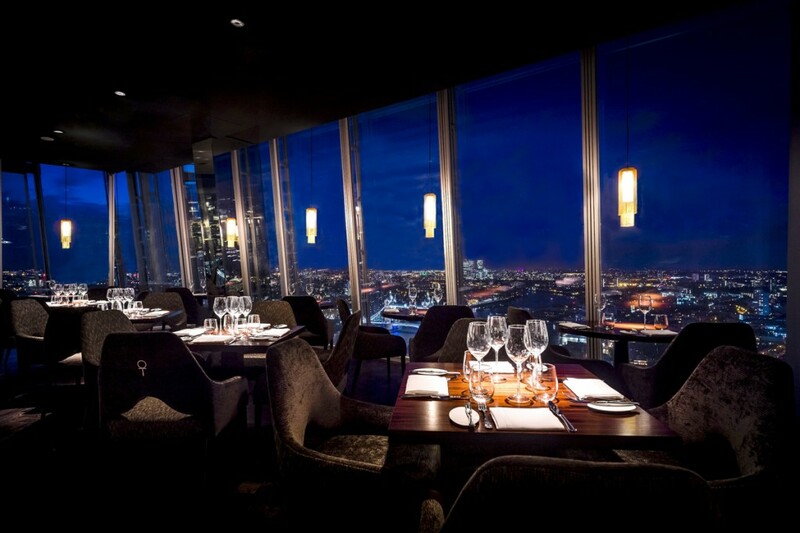 Hong Kong restaurateur David Yeo looked to The Shard to broaden his Aqua restaurant group portfolio. The task was to create a striking lighting scheme but one which would not detract from the panoramic views with glare and reflections from the triple-glazed windows, that in some areas fill the double height space. 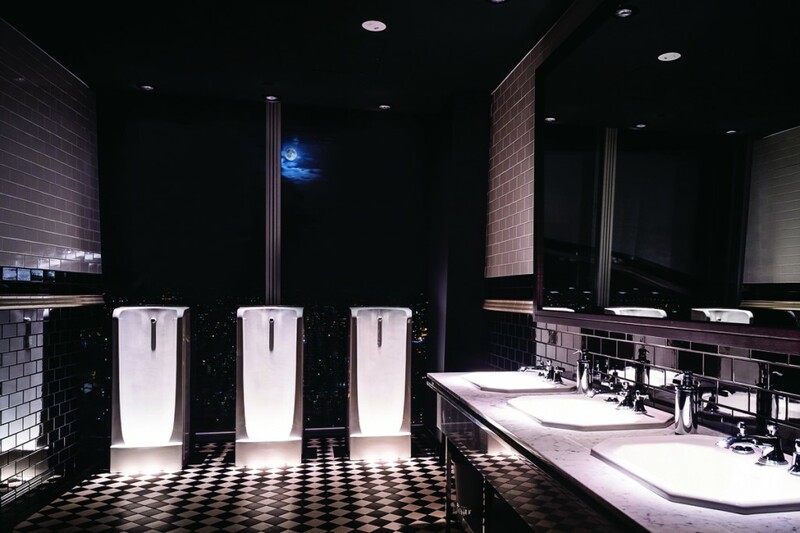 It was important to conduct lighting trials onsite to develop a scheme that would evolve from day to night, and with minimal reflection and glare. 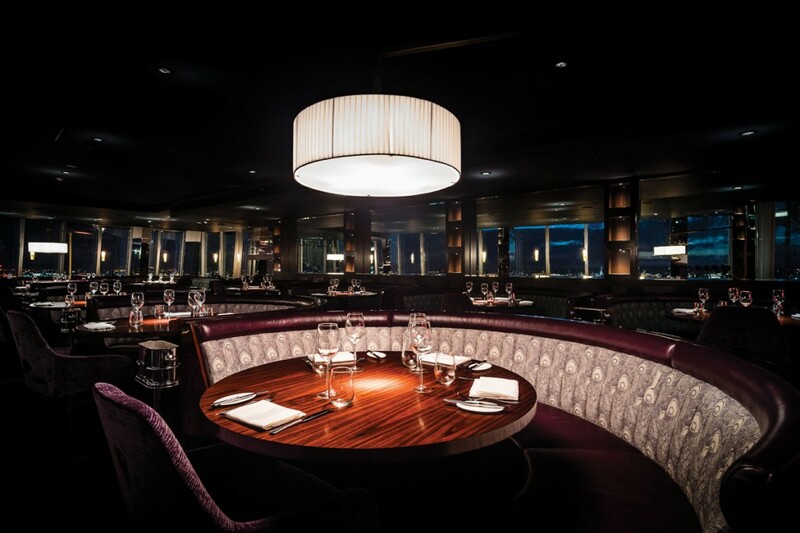 Reflections are reduced through careful concealment of lighting, and low-glare adjustable downlights are focused onto tables to avoid unnecessary lighting of floor space. 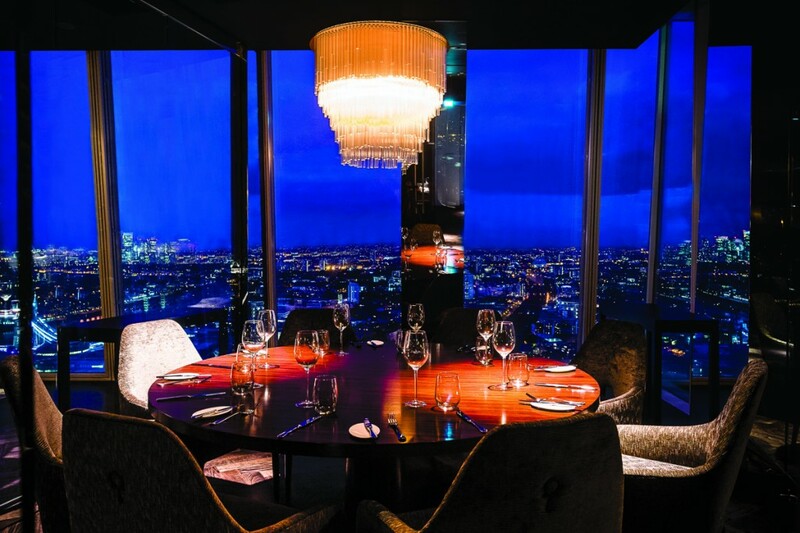 For a touch of luxe in the private dining areas bespoke crystal chandeliers by Tom Kirk hang above each table, and ‘gin’ and ‘tea’ feature walls are grazed with warm light from filtered LED fittings. 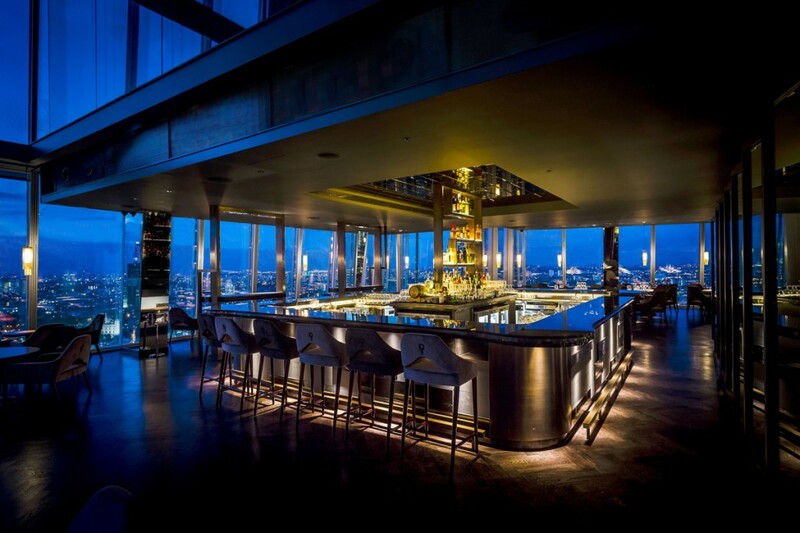 The feature bar area includes multiple levels of bottle steps which fill the ceiling height and are internally lit to create a glowing display. 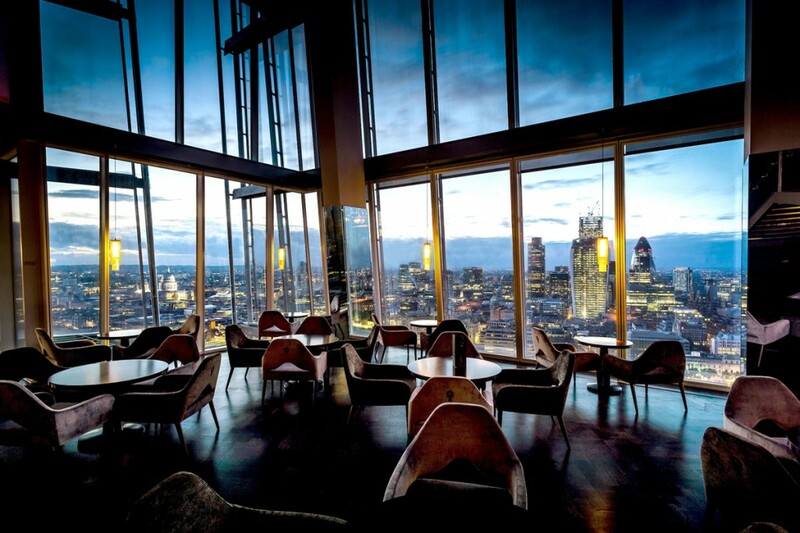 As lighting consultants into ensured minimal glare and reflections from the 360 degree perimeter glass through the design of a controlled lighting scheme. Touches of luxurious fittings and crafted LED lighting creates a theatrical yet intimate space.